Parts of New Jersey are bleak. New York City’s resource ravenous financial engine, an uncontainable sprawl, consumes the wetlands to the west. Parallels to dystopian fiction are not subtle and the similarities to the cyberpunk literary genre are striking. The shining glass clad mega city, segregated from the industrialized neighboring wasteland, like an apathetic and uninterested relation. For this image, I wanted to capture the cold, industrialized characteristics of north eastern New Jersey. 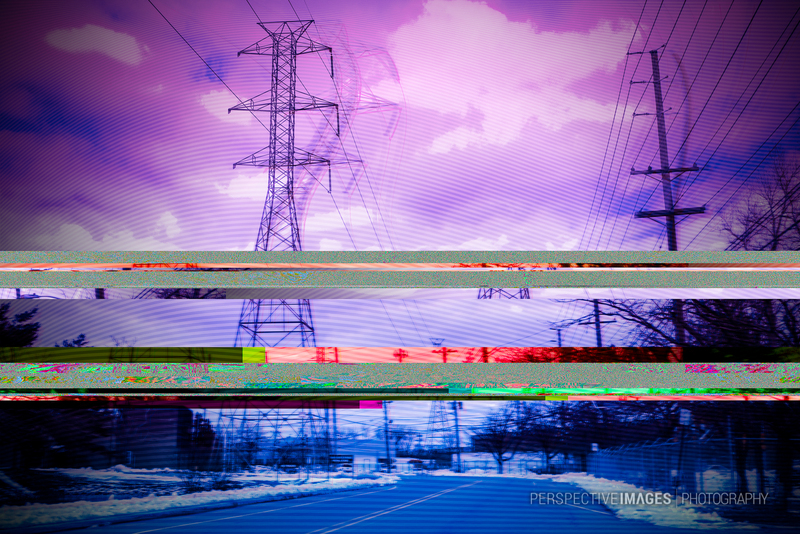 The image’s message is digitally corrupted and further distorted. This view is through our warped window, the medium we are most familiar with: the internet. Cyberpunk started in the early 80’s with William Gibson at it’s forefront (Neuromancer). It was basically a fictional conversation and reaction to the emerging digital age.